Nick Jennings, Professor of Computer Science at the University of Southampton, has been made Companion of the Order of the Bath in the Queen’s New Year Honours List for his services to computer science and national security science. 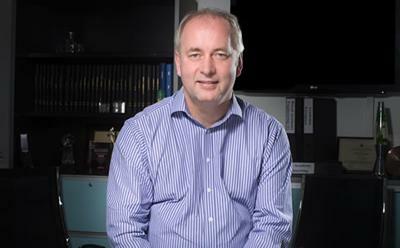 Professor Jennings, who is Head of Electronics and Computer Science at the University, has been recognised for his pioneering contributions to the fields of artificial intelligence, autonomous systems and agent-based computing. He is the UK’s only Regius Professor in Computer Science, a prestigious title awarded to the University by HM The Queen to mark her Diamond Jubilee. He has just finished a six-year term of office as the Chief Scientific Advisor to the UK Government in the area of National Security. He was the inaugural post holder and helped ensure that the best possible use of science and technology is made for national security purposes. An internationally-recognised authority in the areas of agent-based computing and intelligent systems, Professor Jennings’ research covers both the science and the engineering of these systems. Specifically, he has undertaken fundamental research on automated bargaining, mechanism design, trust and reputation, coalition formation, human-agent collectives and crowd sourcing. He has also pioneered the application of multi-agent technology; developing real-world systems in sectors such as business process management, smart energy systems, sensor networks, disaster response, telecommunications, citizen science and defence. These include, the world’s first industrial deployment of multi-agent technology in the area of electricity transportation (with Iberdrola in Spain), environmental sensor network monitoring (Briksdalsbreen glacier -Norway) and engine manufacturing line control (Daimler-Chrysler, Germany). Professor Jennings is also a successful entrepreneur and is Chief Scientific Officer for Aerogility, a 20 person start-up that develops advanced software solutions for the aerospace and defence sectors. Professor Sir Christopher Snowden, University of Southampton Vice-Chancellor, said: “I am delighted that the unique contribution Nick has made through his research is being recognised with this prestigious honour. We offer undergraduate and postgraduate degree courses in subjects such as Computer Science, Software Engineering and Electrical and Electronic Engineering. Professor Jennings has attracted grant income of over £24M (mainly from EPSRC), published more than 550 articles (with some 350 co-authors) and graduated 41 PhD students (including two winners and one runner-up of the BCS/CPHC Distinguished Dissertation Award). With 60,000 citations and an h-index of 104, he is recognised as highly cited by ISI Web of Science in both the Engineering and the Computer Science categories. He has received a number of international awards for his research: the Computers and Thought Award, the ACM Autonomous Agents Research Award and an IEE Achievement Medal. He is a Fellow of the Royal Academy of Engineering, the Institute of Electrical and Electronic Engineers, the British Computer Society, the Institution of Engineering and Technology (formerly the IEE), the Association for the Advancement of Artificial Intelligence (AAAI), the Society for the Study of Artificial Intelligence and Simulation of Behaviour (AISB), the German AI Institute (DFKI) and the European Artificial Intelligence Association (ECCAI) and a member of Academia Europaea and the UK Computing Research Committee (UKCRC). He was the founding Editor-in-Chief of the International Journal of Autonomous Agents and Multi-Agent Systems and a founding director of the International Foundation for Autonomous Agents and Multi-Agent Systems. He has also led teams that have won competitions in the areas of: the Iterated Prisoners' Dilemma (the 20th Anniversary competitions in 2004 and 2005), RoboCup Rescue (the Infrastructure competition in 2007), Agent Trust and Reputation (the ART competitions in 2006 and 2007), the Lemonade Stand Game (2009 and 2010), competing marketplaces (2007), and technology-mediated social mobilization and rapid information gathering (the US Department of State's TAG Challenge in 2012).